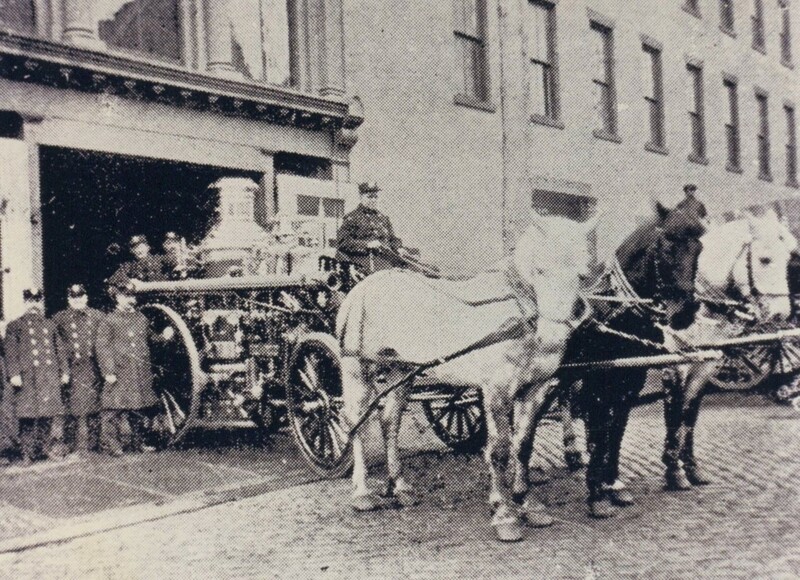 The firehouse at 112 Van Houten Street opened in May 1871 to quarter Passaic Engine Company 1 of the Volunteer Department. 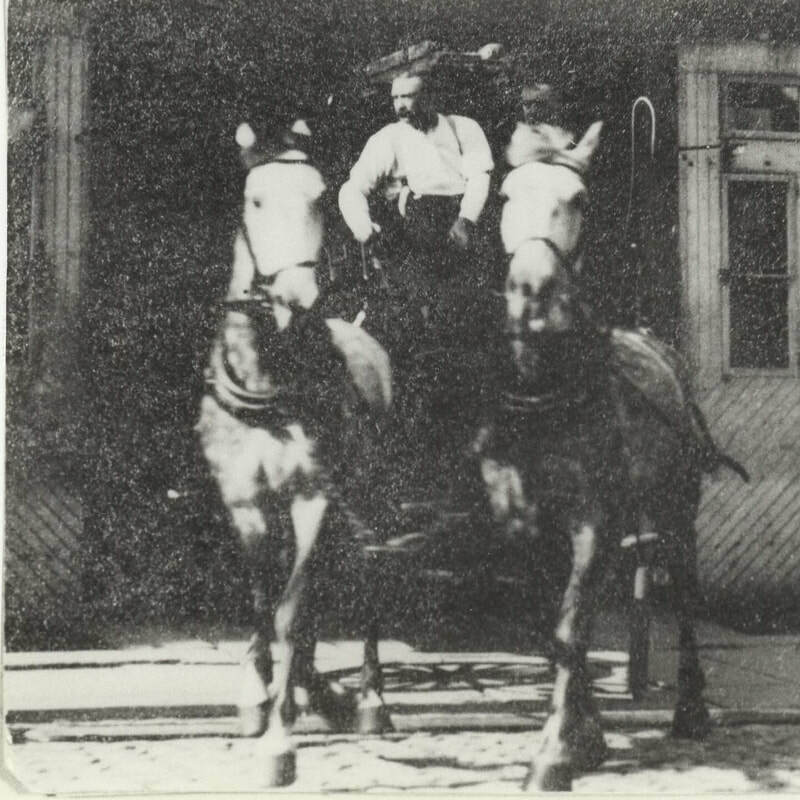 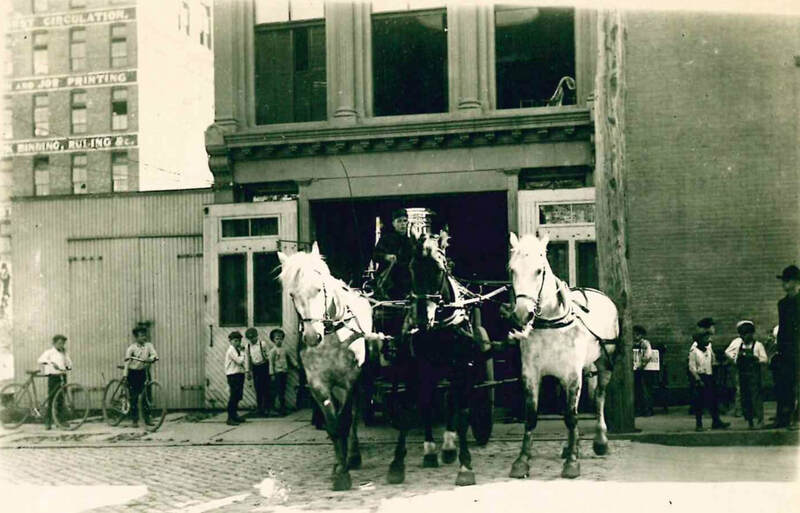 In 1884 it became the first Paterson Firehouse to stable horses. 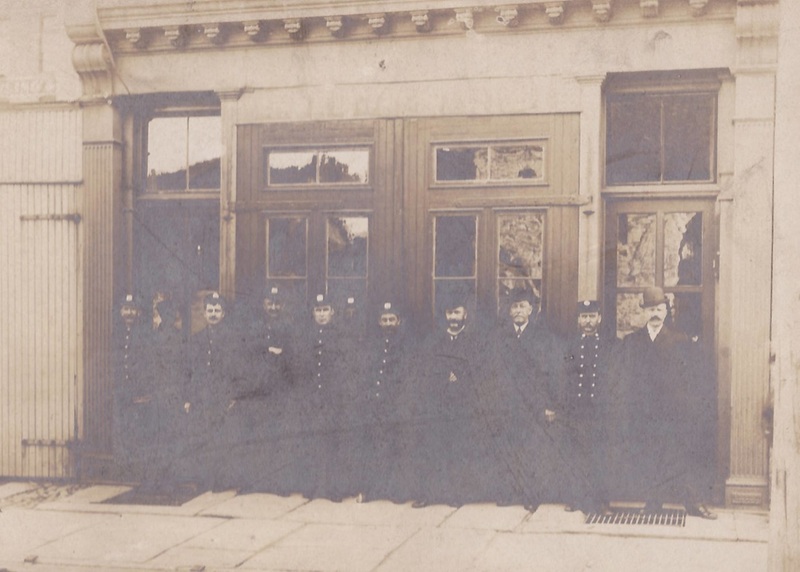 This firehouse is often confused with the 20th century firehouse that was built across the street at 115 Van Houten Street in 1912 which served as Headquarters of the department until 1982. 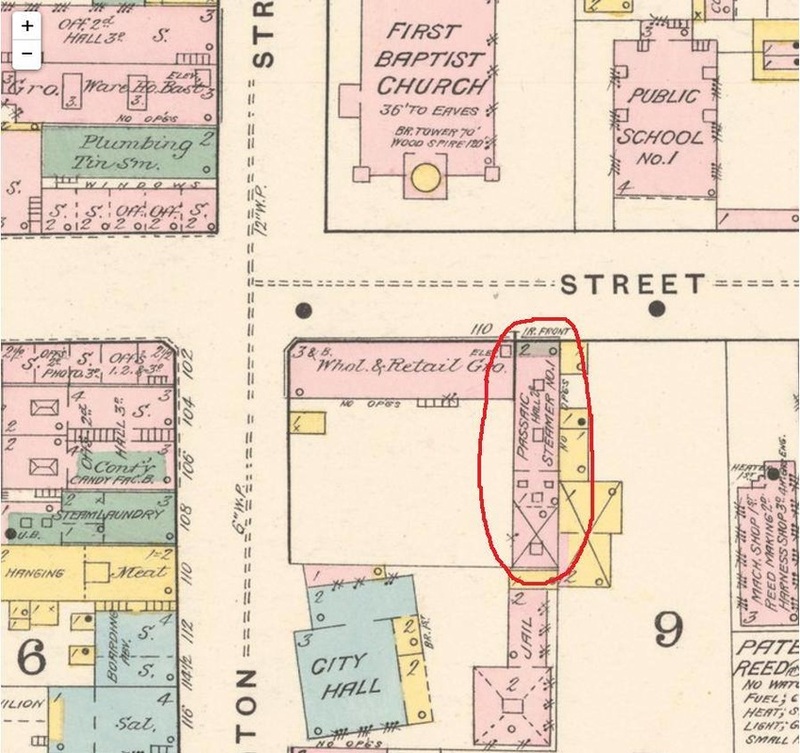 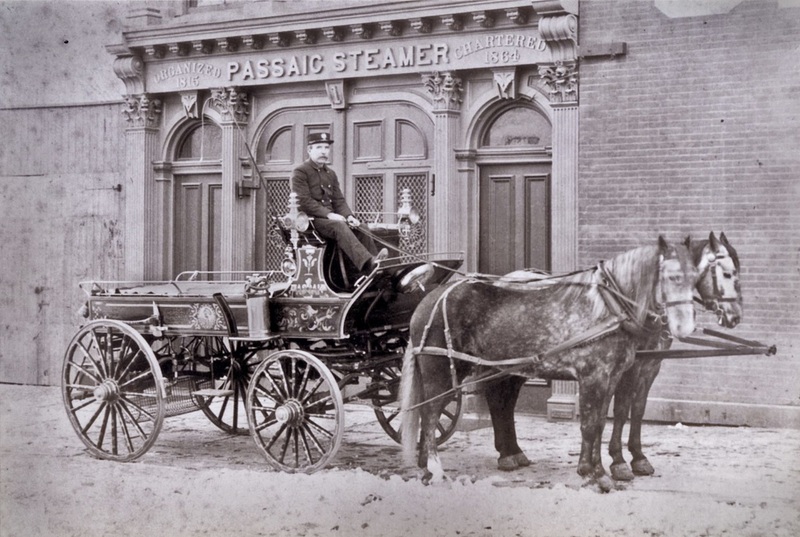 Below is a photo of the quarters circa 1886-1889 when Passaic Steam Fire Engine Company 1 (a Paterson Volunteer Company named after the River) was located there. 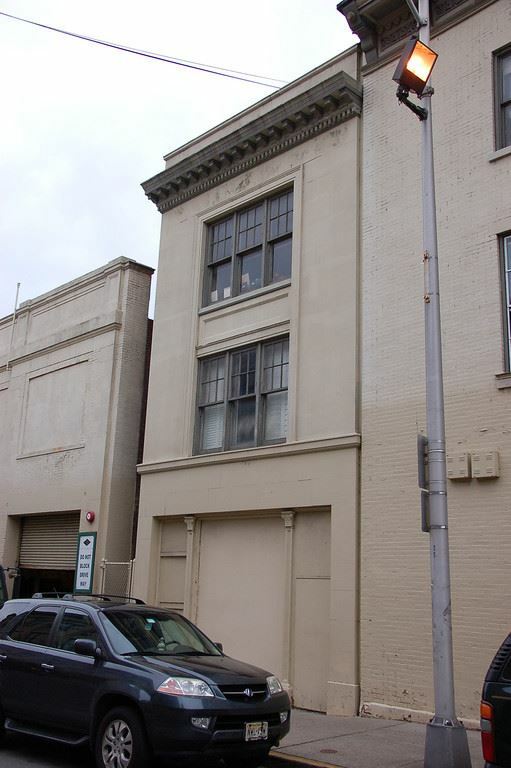 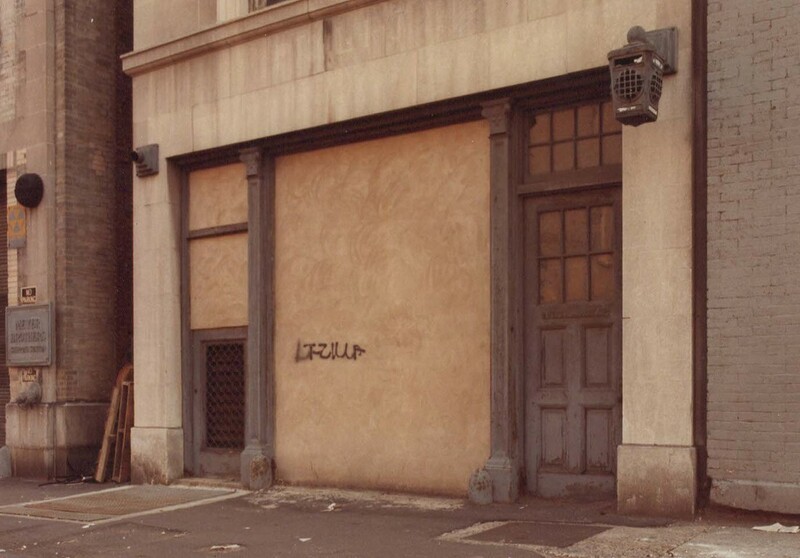 The company had no relationship to the City of Passaic. 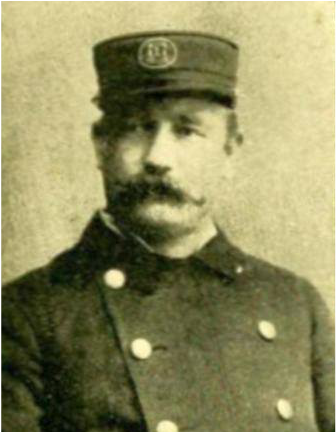 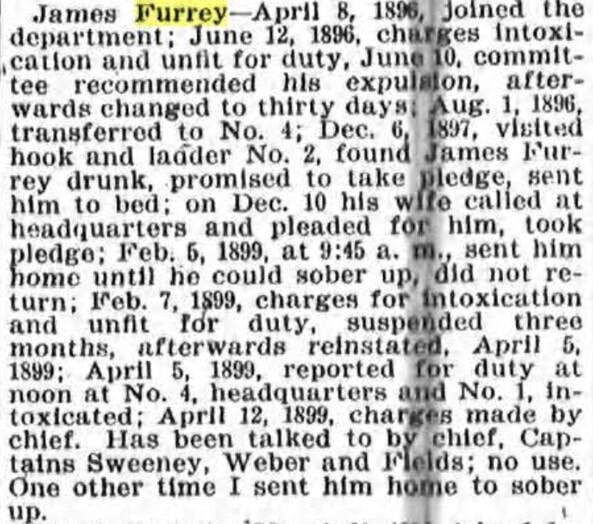 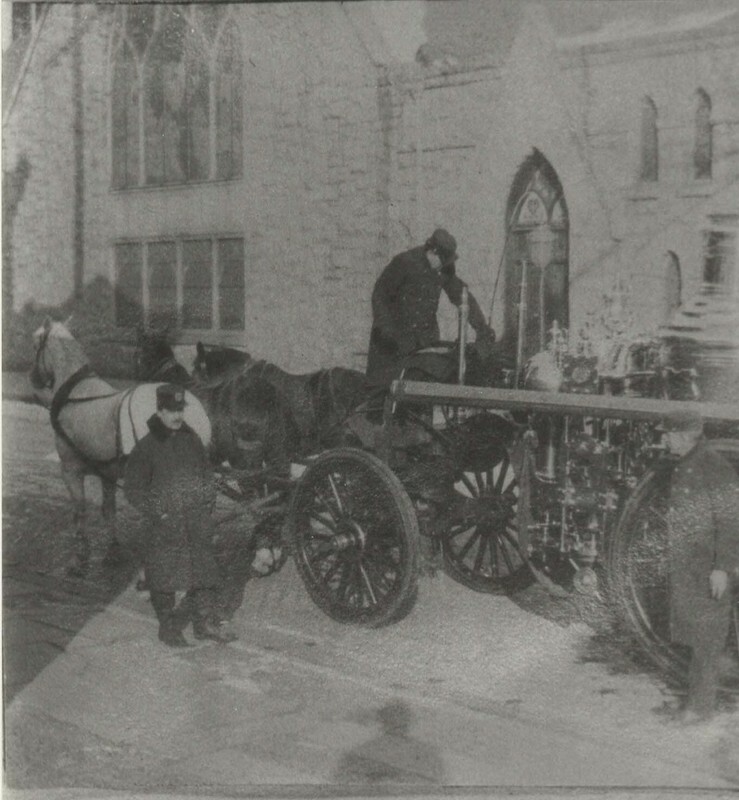 ​In 1888 the Fire Department was reorganized by a special committee consisting of Aldermen Macdonald, Miller and Kearney, and a partially paid department or "Call System" succeeded the volunteer system on March 20th, 1890, with four permanent men in nine engine and three hook and ladder companies, and eight call men to each. 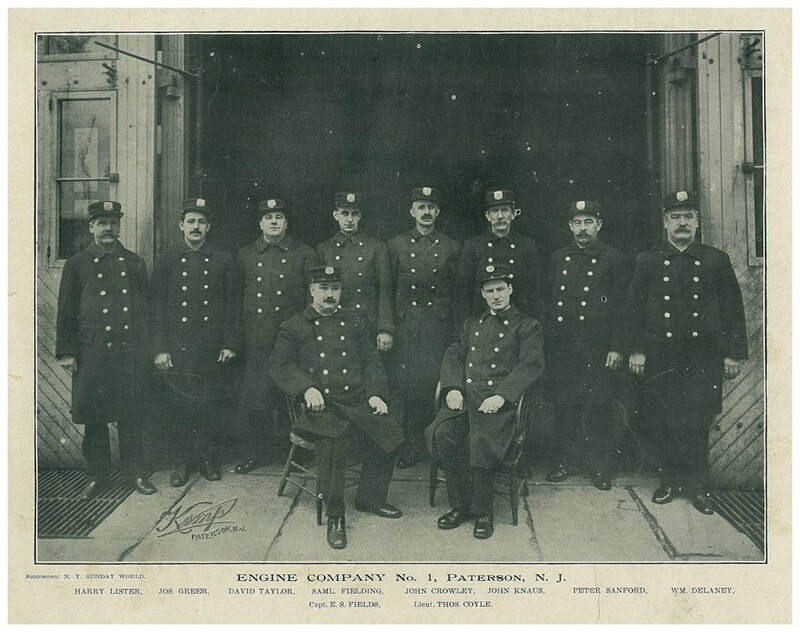 The fulltime men consisted of Captains, Engineers, Drivers and Tillermen and Fire Alarm Officer. 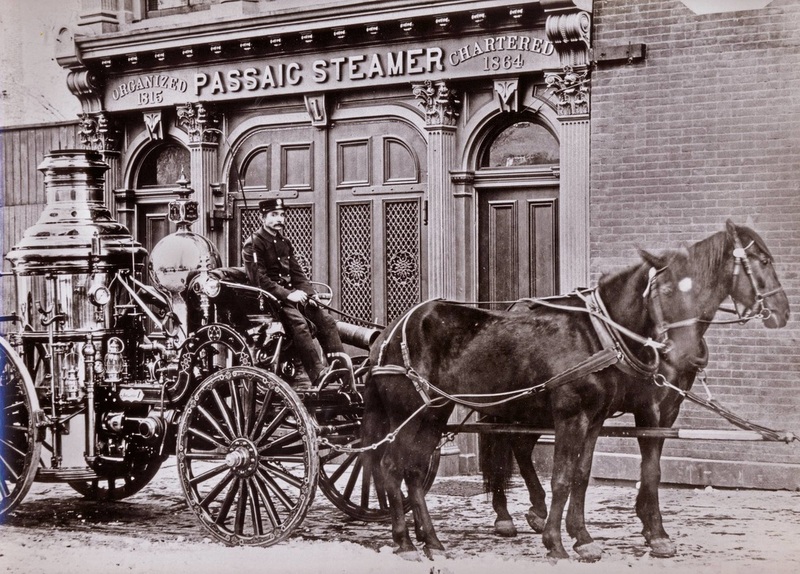 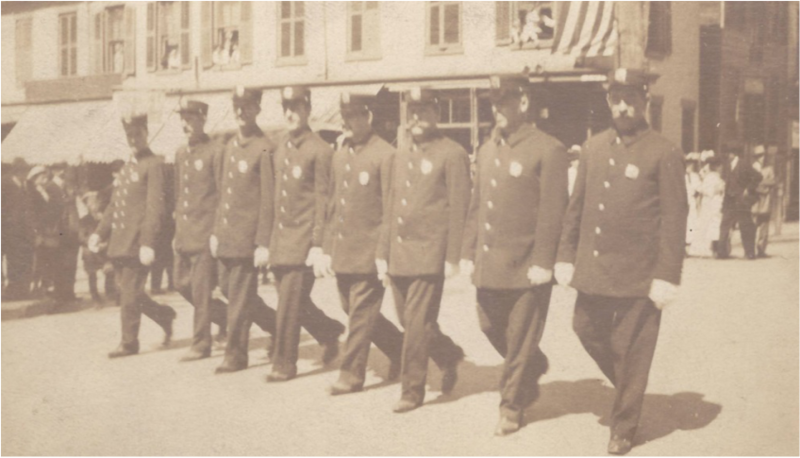 ​March 20, 1890: The transition from a totally volunteer department to partially paid occurred and at that time Passaic Steam Fire Engine Company One became Engine Company 1. 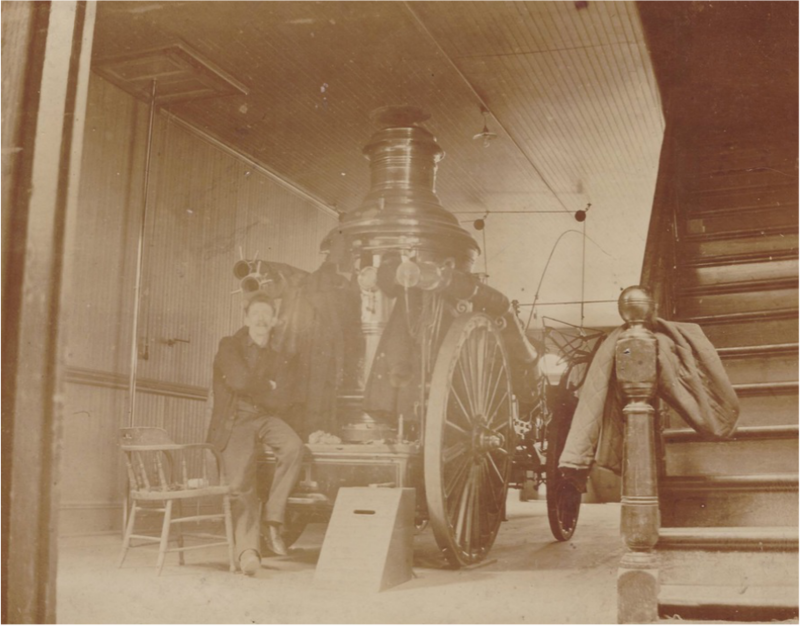 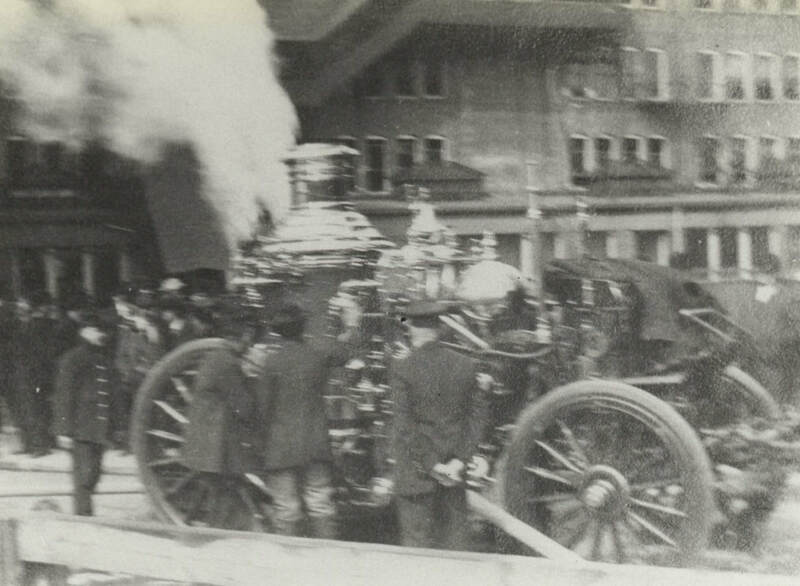 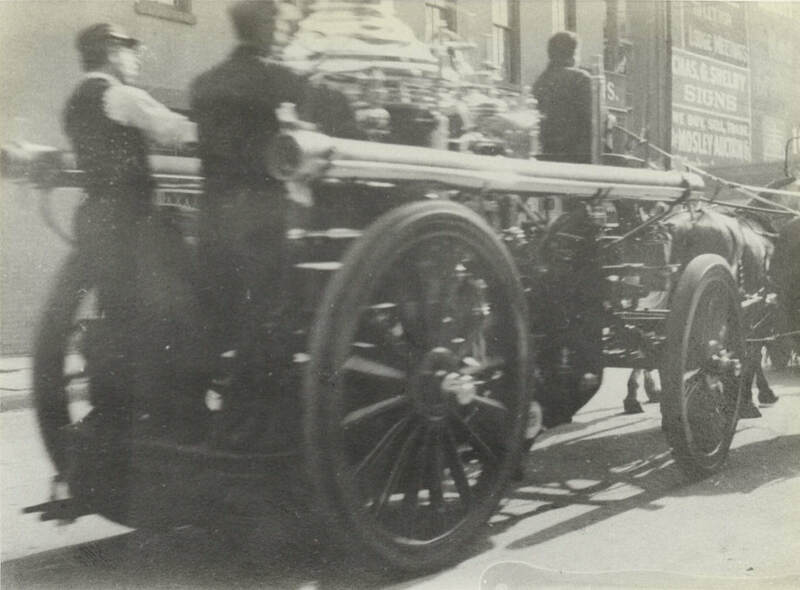 1890: Engine Company 1 used the apparatus of Passaic Steam Fire Engine Company One, specifically an 1886 Second Size Button Steam Fire Engine shown below (serial #176) as well as their Gleason and Bailey Hose Wagon. 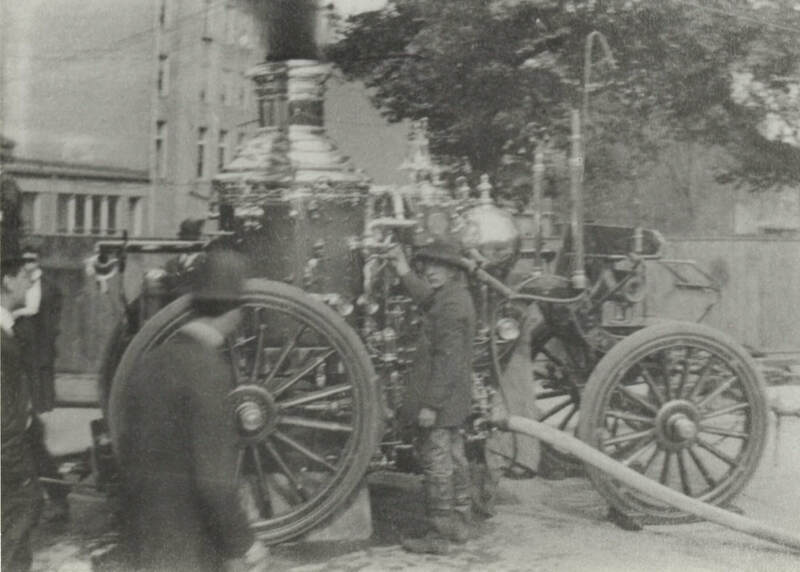 1891: Post and Doremus Hose Wagon with 700 feet of hose and two three gallon extinguishers. 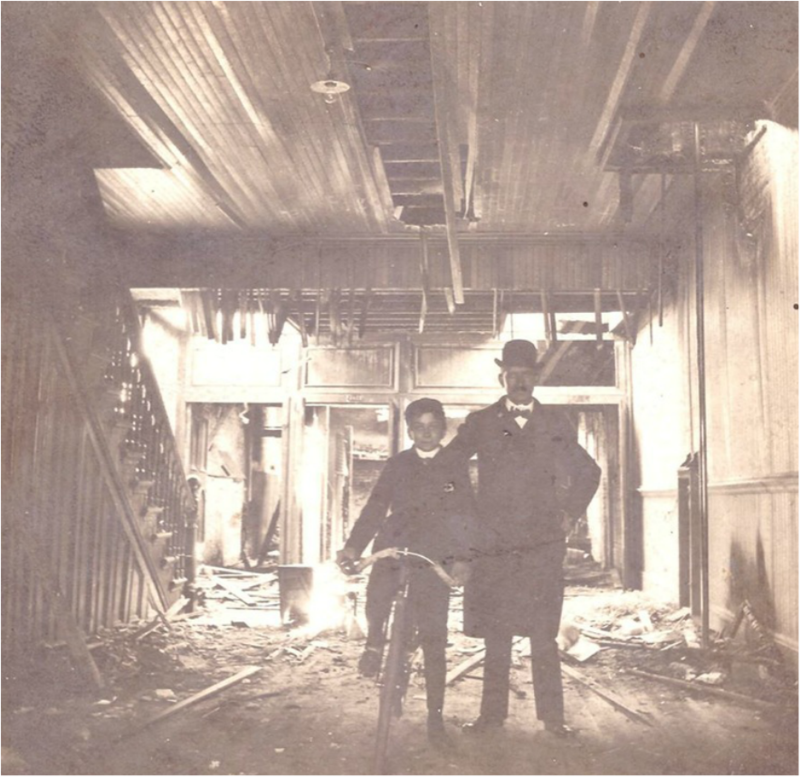 In the Great Fire of February 1902, the rear of the Firehouse was significantly damaged (see photo below: boy on bike is Fred Hindle) and Engine Company 1 had to relocate to the Firehouse at 77 Prospect Street (quarters of Engine Company 3). 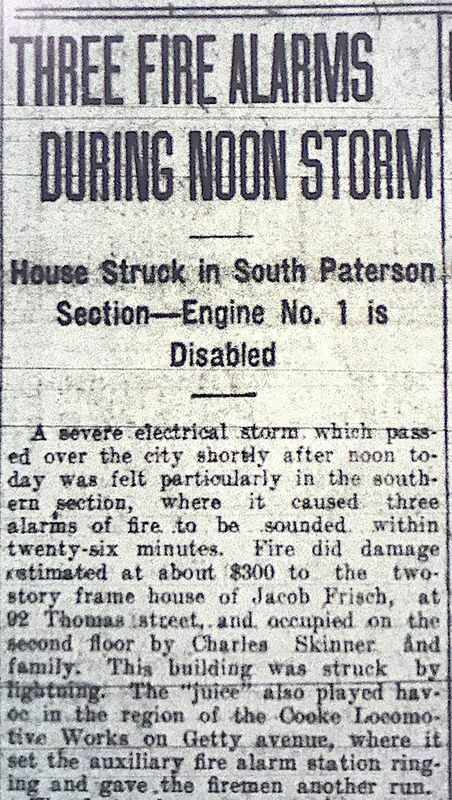 The house at 112 Van Houten Street was rebuilt and Engine Company 1 returned there in 1903. 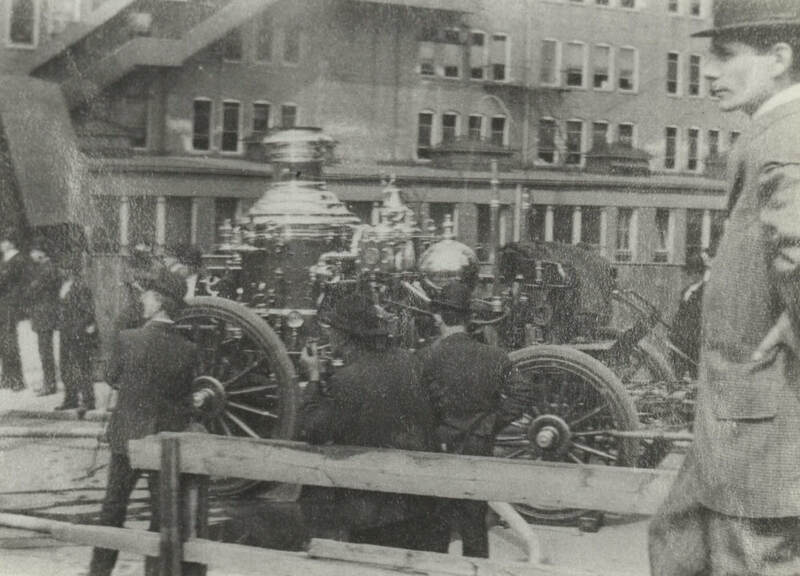 ​July 1911: Steam fire engine sent via railroad to the Nott Company in Minneapolis, MN to be motorized. 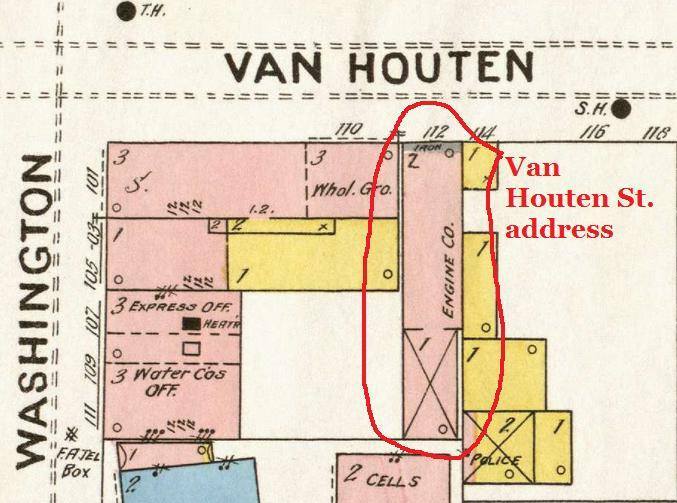 1912: With the opening of the new central fire headquarters across the street at 115 Van Houten Street, the 112 Van Houten Street firehouse closed. 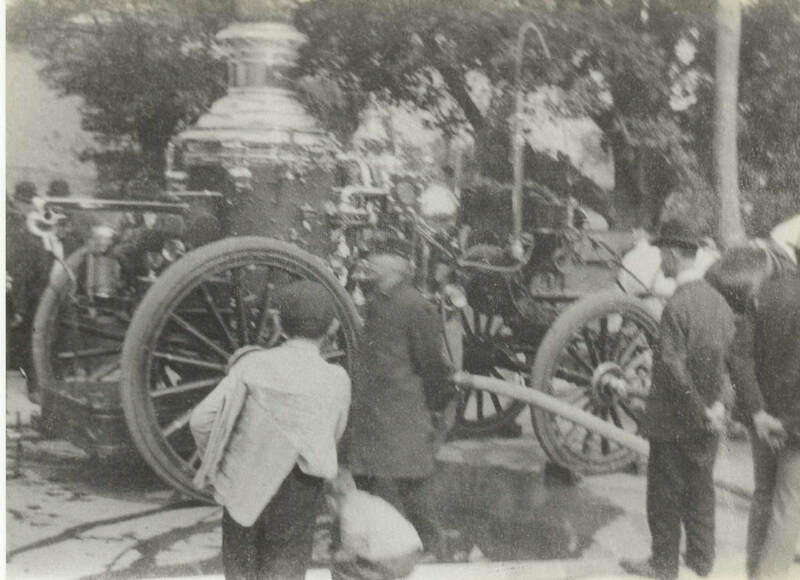 Engine Company One simply moved across the street. 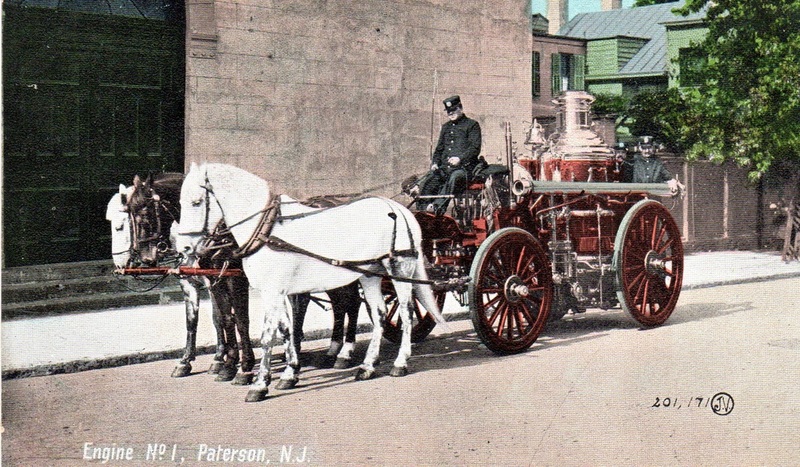 Awaiting the company was their 1903 Metropolitan Steam Engine now motorized with a Nott propelling Tractor Soon thereafter the 112 Van Houten Street was utilized by the Paterson Police Department: it officially became the Paterson Police Department Traffic Headquarters.